As global leaders meet in Warsaw to discuss climate change, a new documentary alleges that Europe’s existing system of trading permission to generate carbon dioxide (a major contributor to greenhouse gasses) has been taken over by criminals. He seems to identify two routes for fraud. The simplest is that the carbon permits were stolen or used as the basis for tax fraud. The other is that the money intended to help build green economies in developing countries was wasted on technology that could never have delivered what was promised. 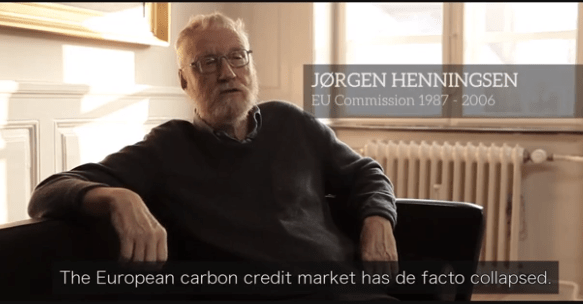 The documentary is co-produced with the Danish state broadcaster, DR — Denmark has, per capita, invested more heavily than any other EU country in green energy. A preview of the programme is to be shown and discussed this Thursday at London’s legendary Frontline Club.